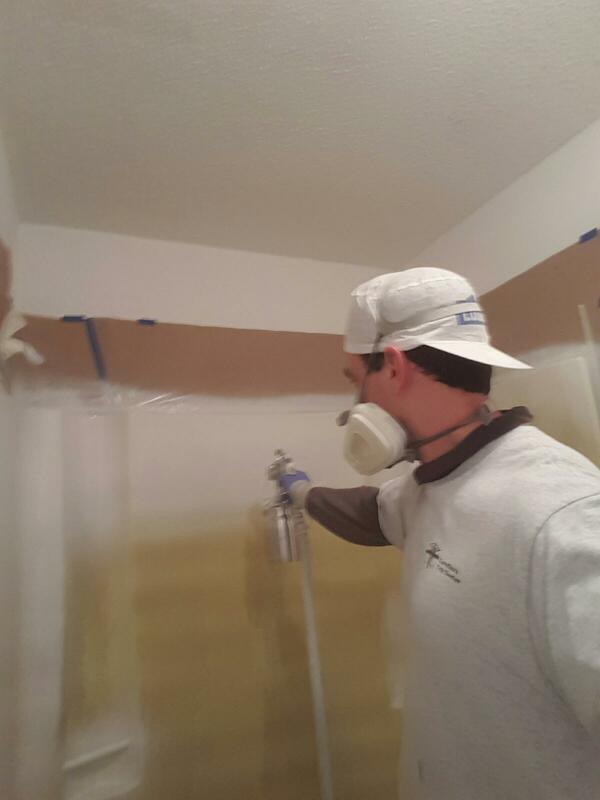 Charlotte's Most Experienced Bathtub Refinisher! Needing Bathtub Refinishing in Charlotte NC? 22 Years Experience Makes us THE BEST. Call Now for a Free Estimate over the Phone. 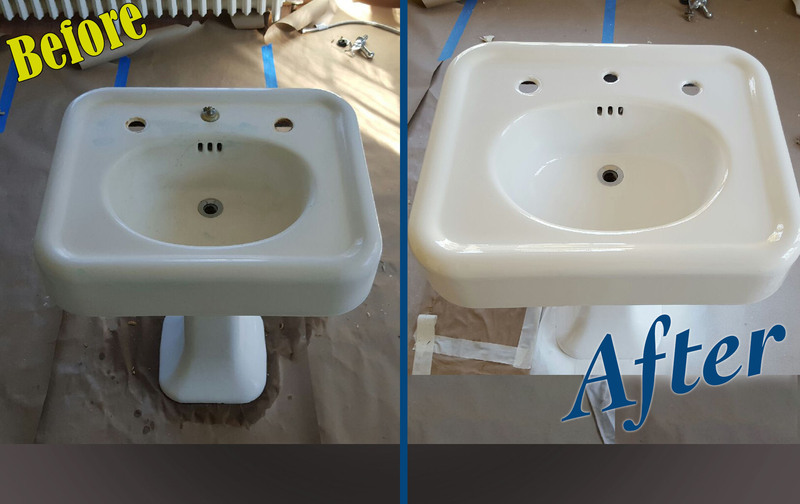 Refinish Your Tub – Don’t Replace It! IF you need bathtub refinishing in Charlotte we can make your search easy. Is your old Bathtub cramping the style of your entire bathroom? You can replace it and incure possibly thousands of dollars in expenses and still end up with a new tub that is weaker and flimsier than your old one. THERE IS A BETTER WAY. 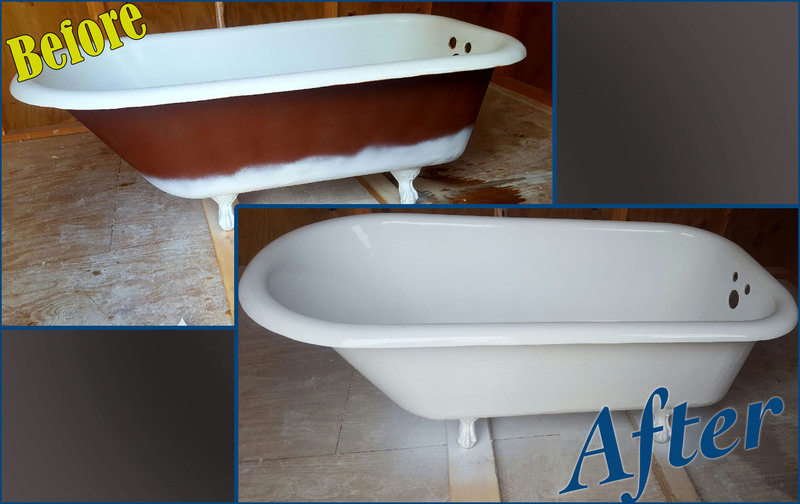 You can leave everything in place and have our team of experienced technitions refinish and reglaze your tub in one day and leave it looking BRAND NEW. 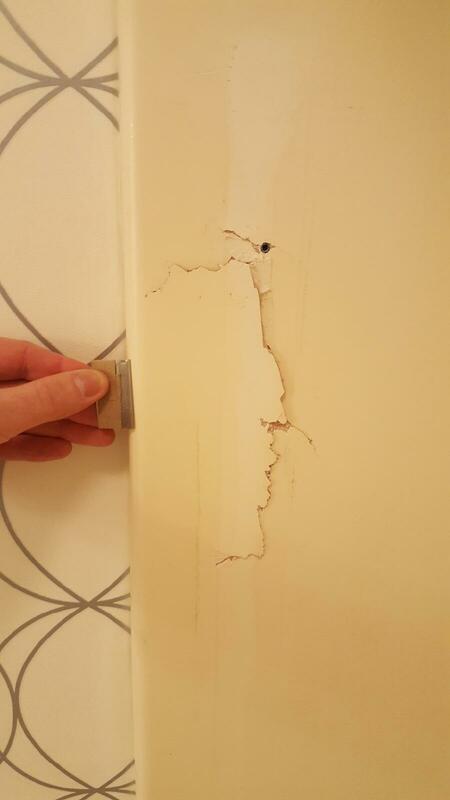 We also repair and reglaze the wall tile around your tub or in you shower? If you have been thinking of getting a bathtub repair company in Charlotte to help bring your old bathroom back to life then we have helped hundreds of families do just that? We can save you hundreds of dollars with our reglazing process. 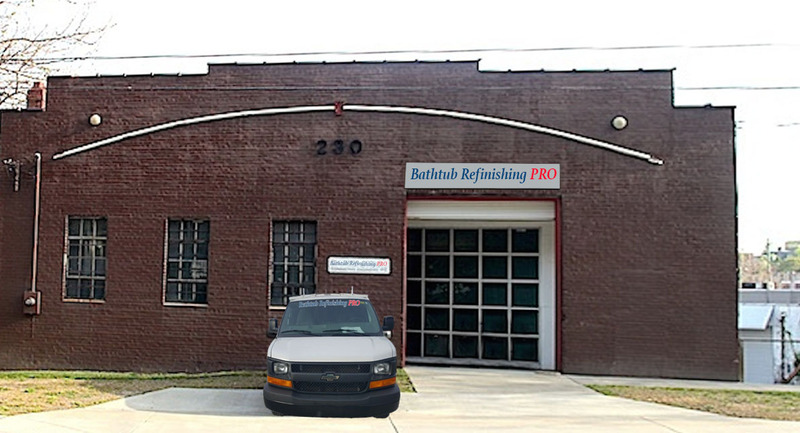 We are the tub resurfacers in Charlotte you are looking for. Would you like to give your bathroom a modernization and update? Maybe you have been procrastinating because of the high cost involved in bathroom remodeling. You don’t have to wait, there is an affordable option for bathroom remodeling now! 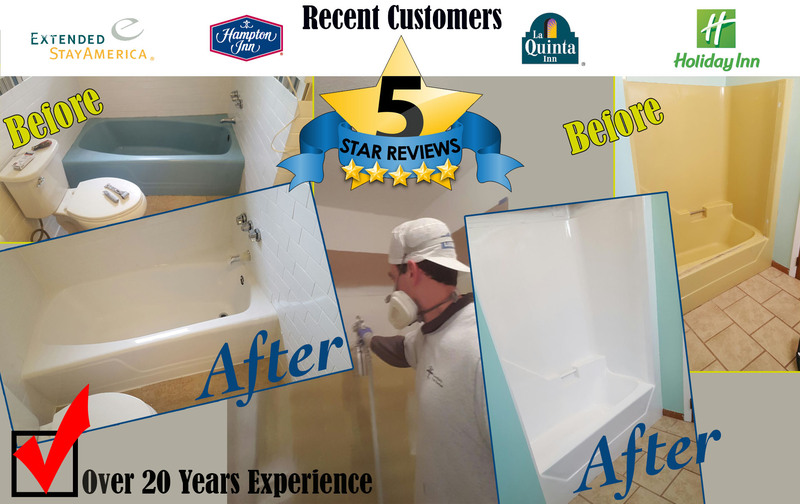 Don’t tear out your old tub and wrestle it out the door, fretting about how to dispose of it then paying a fortune for a new one, just give Bathtub Refinishing Pro of Charlotte a call and we will have it looking like BRAND NEW! Dealing with contractors can be a stressful event. Just to replace your bathtub alone with a contractor you would be without your bathroom for weeks and have to deal with some level of demolitia, removall, replacement and plumbing. Your flooring and walls could be effected and have to be redone or replaced. THE EASY ALTERNATIVE is the reglazing process. We can Etch, Prime and use 4 layers of colore gloss finish to make your tub look new and SHINE LIKE NEW. 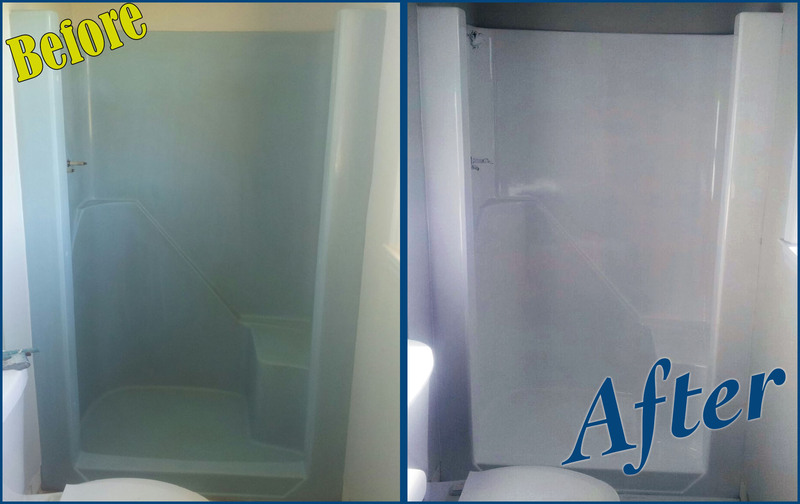 BATHTUB REPLACEMENT is HARD and EXPENSIVE……WE CAN REGLAZE YOUR BATHTUB FAST!! One of the best things about our process is that we can save you SO MUCH TIME. Even the shoping, measuring and calculations involved in replacement can be overwhelming. 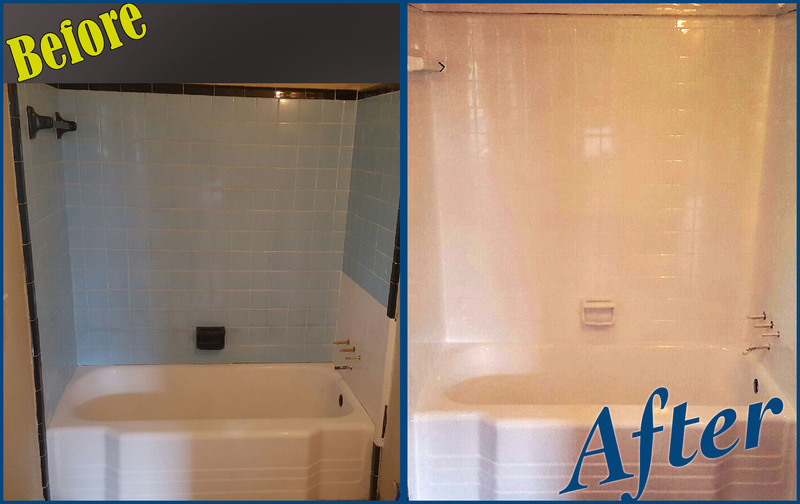 When we do a tub or Shower Refinishing process it can be done in one day, IN AND OUT. This will be the easiest home project you have ever done. Change the Color of your Bathtub. When we refinish your tub you can choose the color that you would like to put it back as. Many color options are available, just call us now to discuss your options and pricing. No Stress – We Make it Easy. 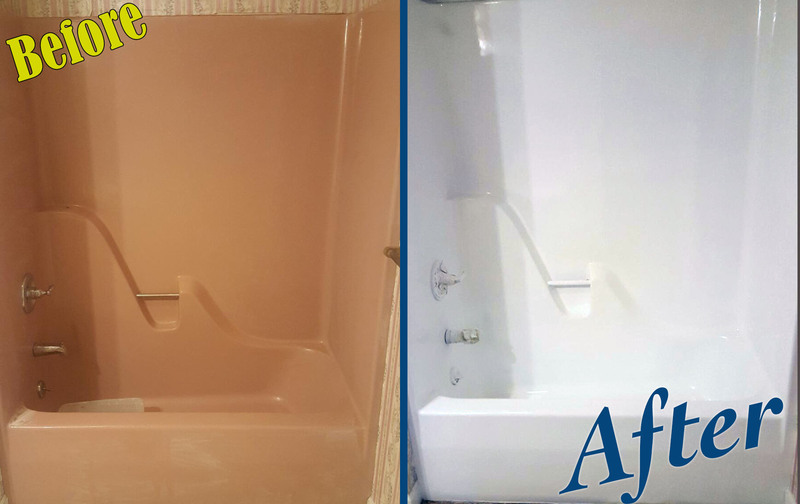 Even if your tub or shower needs fiberglass repair or patching, we are pros at that too. Remember that we have been in this business for a very long time and we can repair and reglaze most situations. Just call us and describe what you need and we can give you and easy price over the phone. Don’t get mad at your Bathroom Remodeling, Refinish your Tub Instead.